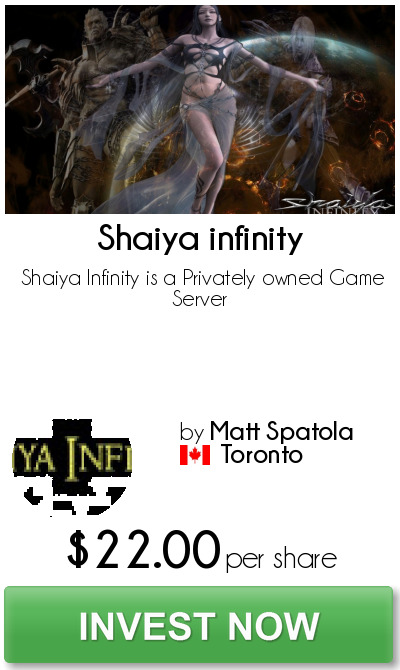 We are Shaiya Infinity a Privately owned Public Game Server. Providing a fun gaming community to players worldwide since May 2016. We will be up and running for a very long time. Shaiya is my passion. I would like some help with your investment into my project. I will use the funds for an additional computer to double my work load which will increase my profits. My website will evolve and I am just starting to launch my Twitch.tv channel. I will be expanding. Online gaming is our passion. I am an online game developer/marketer with the passion to succeed. We have over 20 years in the gaming field and our dream is to run a game server. Which I am currently living my dream.